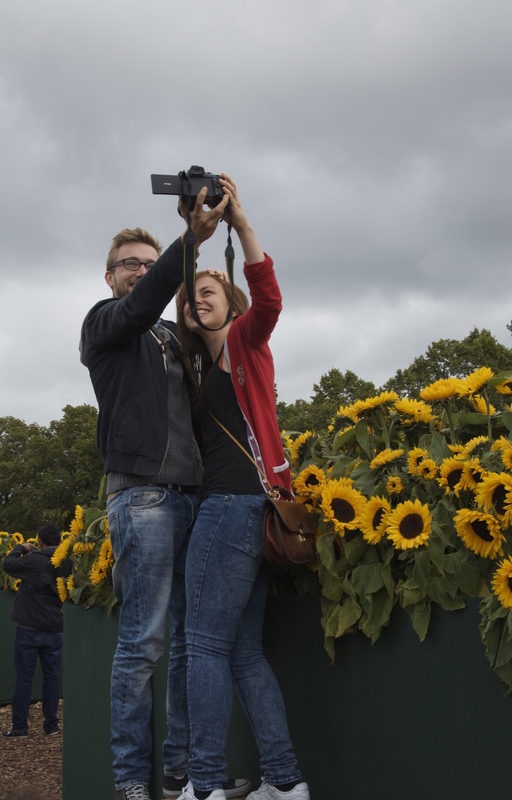 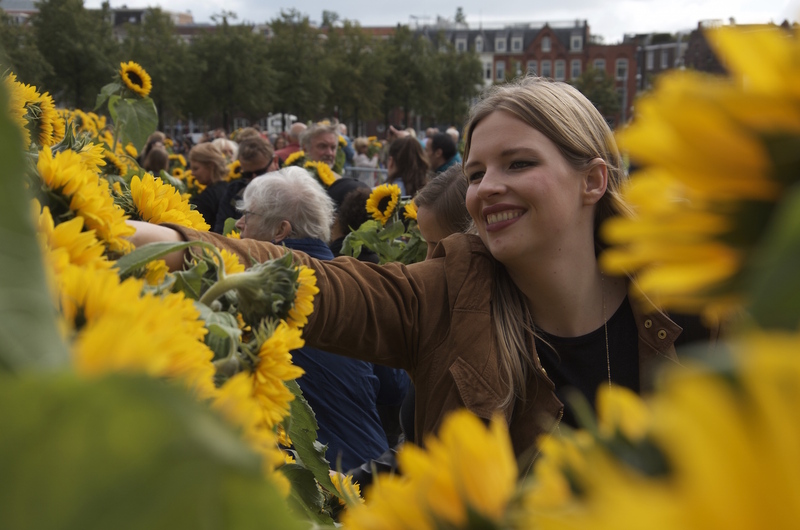 With 125,000 sunflowers, Amsterdam had a floral feast this rainy weekend, thank god there were a few hours with sunshine. 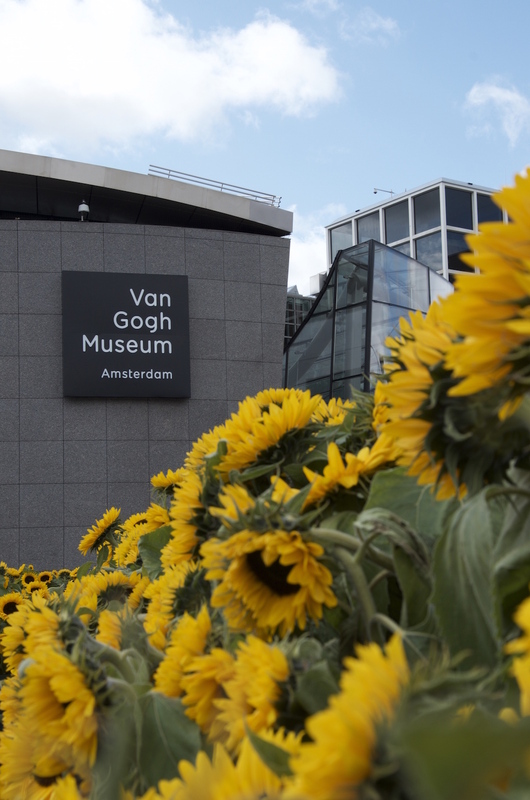 We also need to thank the beloved Dutch man, Vincent van Gogh. 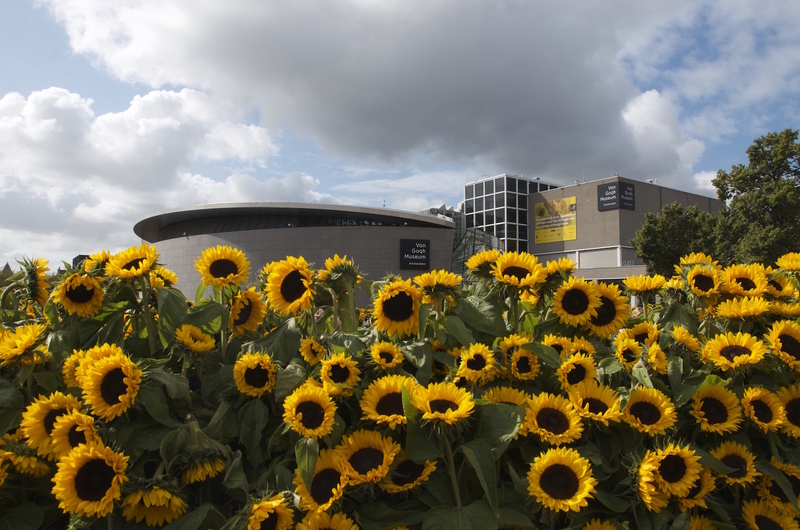 In the name of him, the Van Gogh Museum built a 2-meter high sunflower labyrinth on the Museumplein to celebrate the opening of the new entrance building, also the 125 year death anniversary our dearest van Gogh. 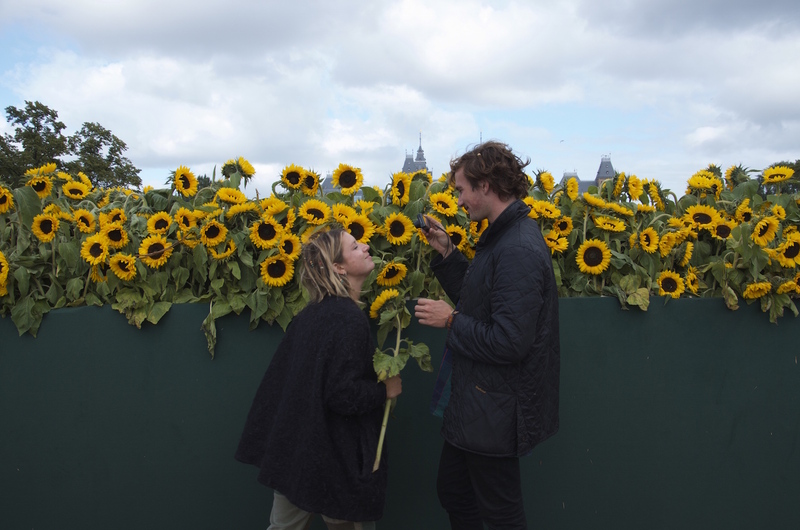 Sunflowers had a special significance for Van Gogh. 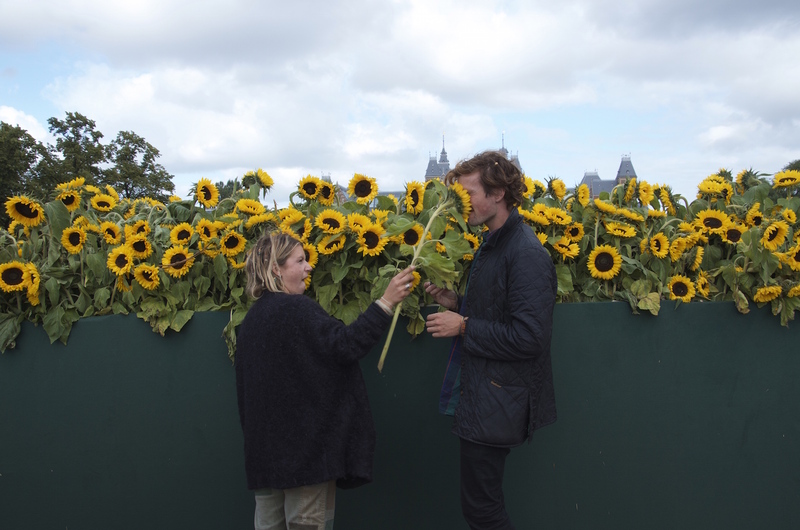 Yellow, for him, was an emblem of happiness. 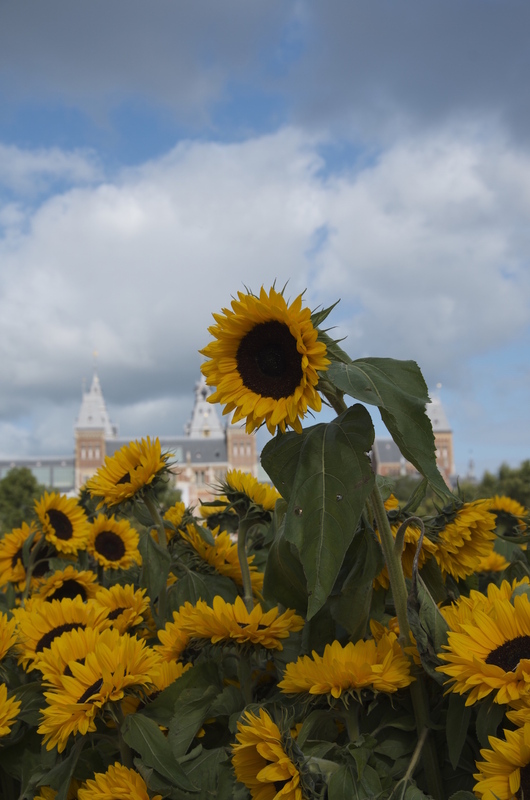 It says that in Dutch literature, the sunflower was a symbol of devotion and loyalty. 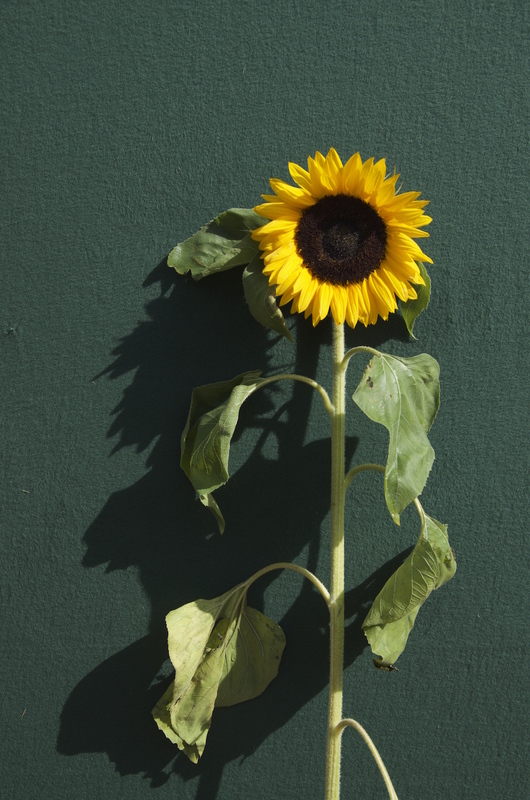 In their various stages of decay, sunflowers also remind people of the cycle of life and death. 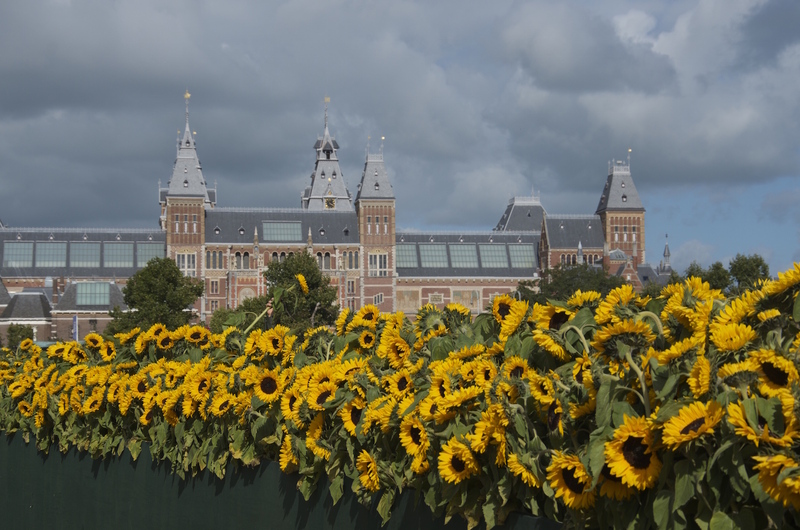 Not sure if everyone got the philosophical meanings behind these flowers, but at least the visitors received the happiness from Van Gogh. 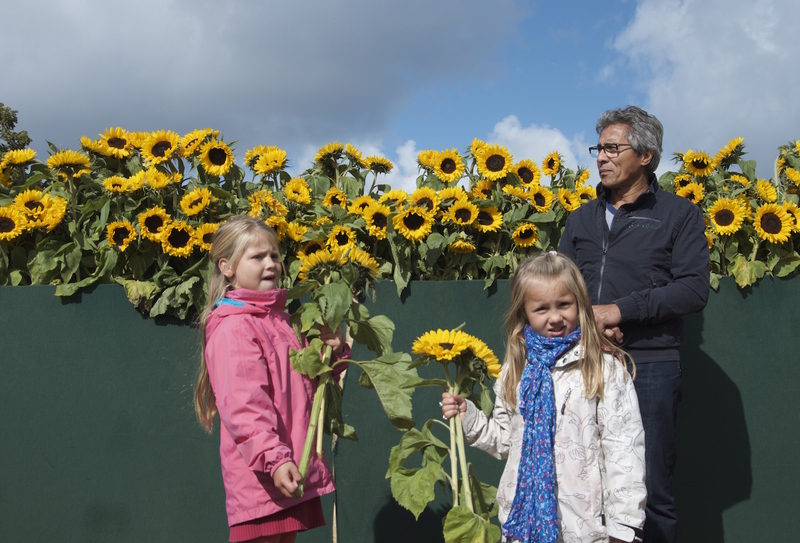 Happy sunflower day!